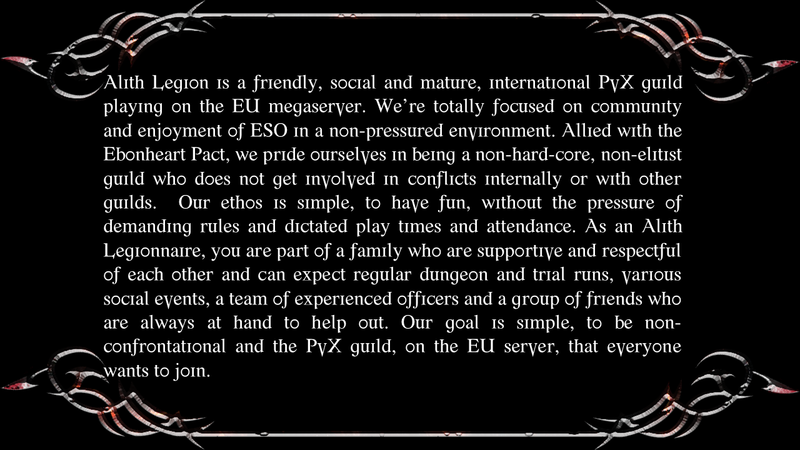 No Pressure - No Drama - No Stress - Just Fun & Friendship! 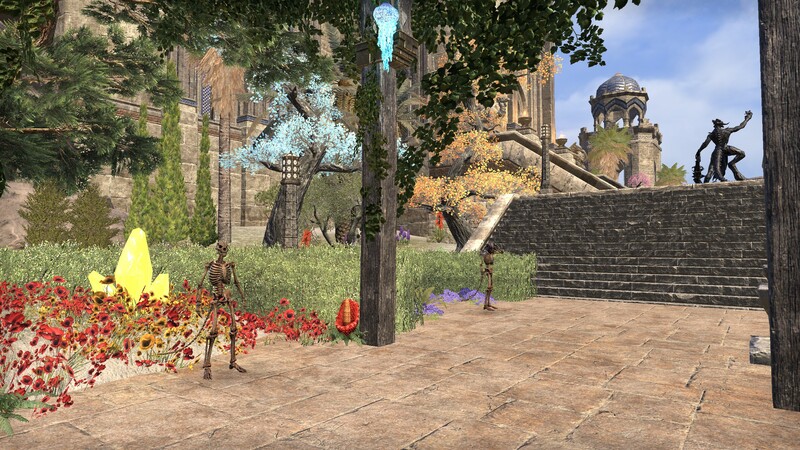 In the recent podcast about ESO's new chapter Elsweyr, the team mentioned a new ability for players to be able to search for guilds in game! 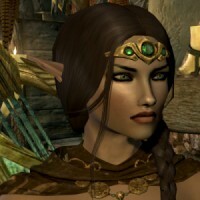 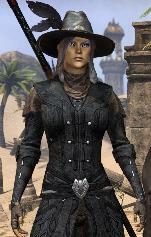 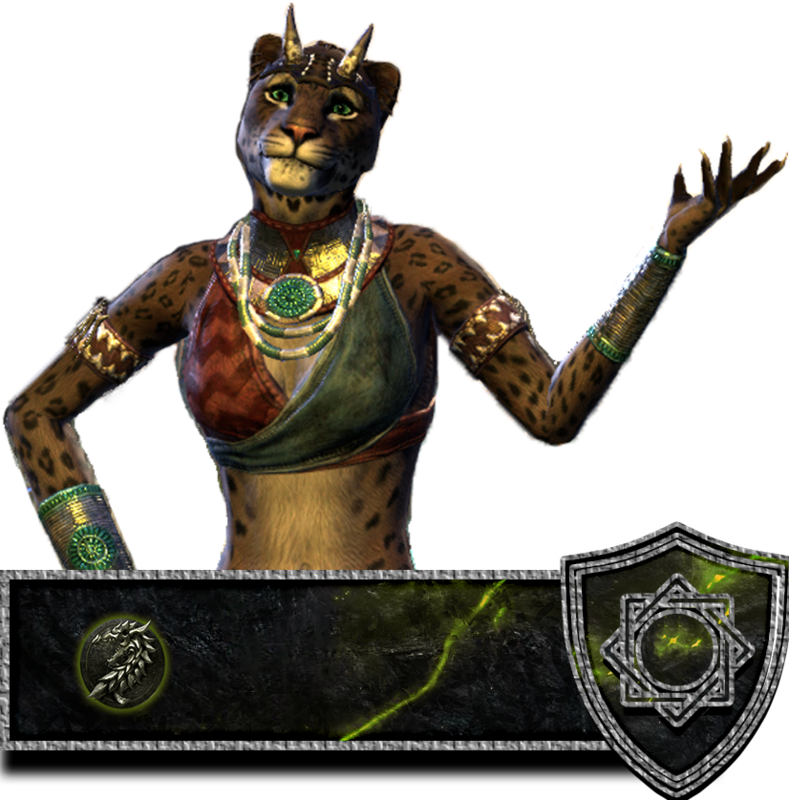 And although this is an exciting development for new players and guilds alike, an established guild like Alith Legion will likely not see as much benefit to this new feature - that being said I am however still very excited about this change because it means Zeni seem to finally be giving some love to the many guilds that play ESO. 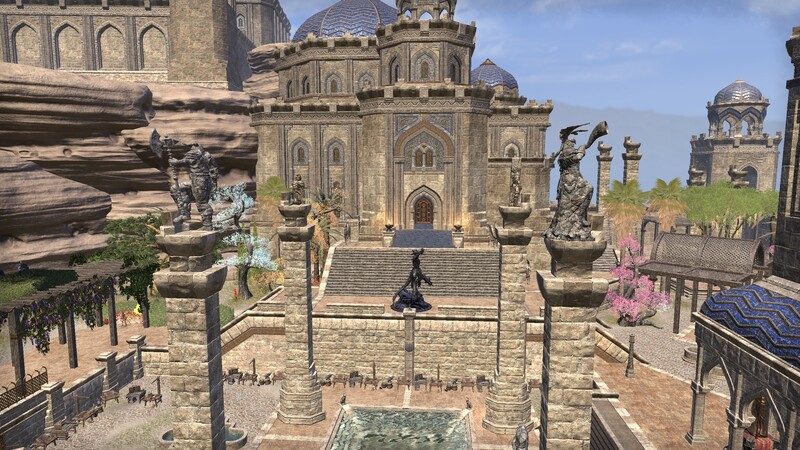 It is my hope this will lead to more of the great features we have come to love with regards to guild features available in other MMO games - One of the main being the ability for guilds in ESO to have a common guildhall that can be decorated and maintained by our guild members. 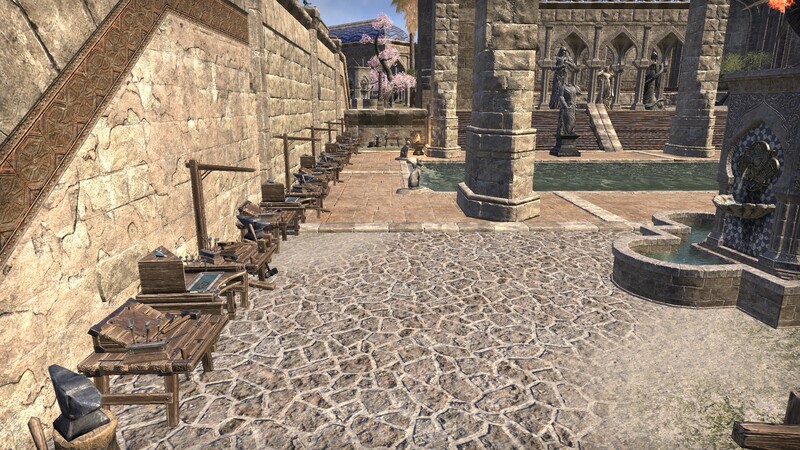 Myself and a few of our amazingly generous members (especially one in particular (you know who you are)) are already building towards the dream of a proper guildhall and the results of our deep pockets and hard work can be seen below. 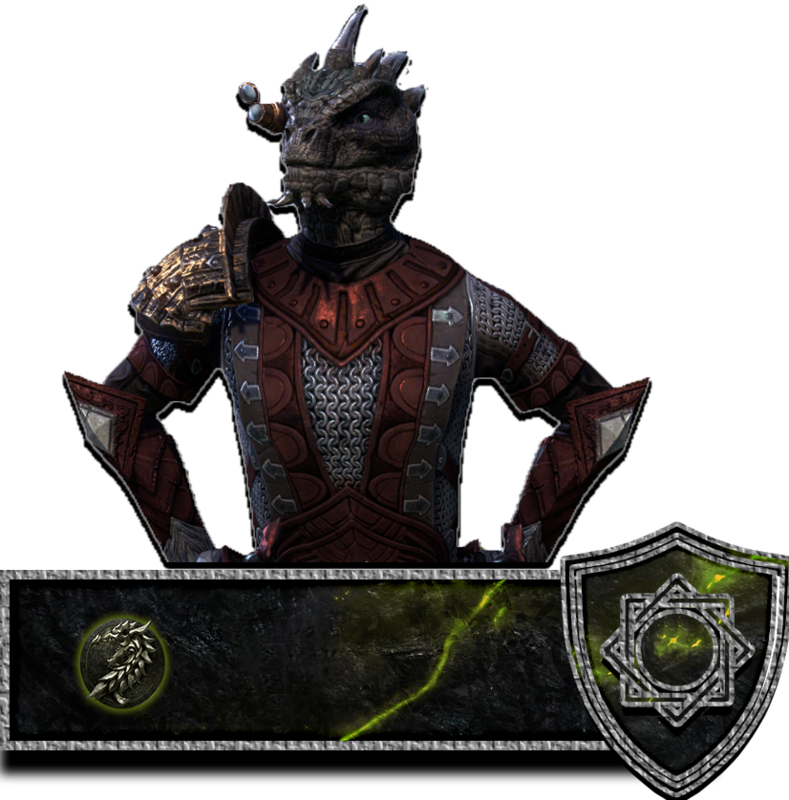 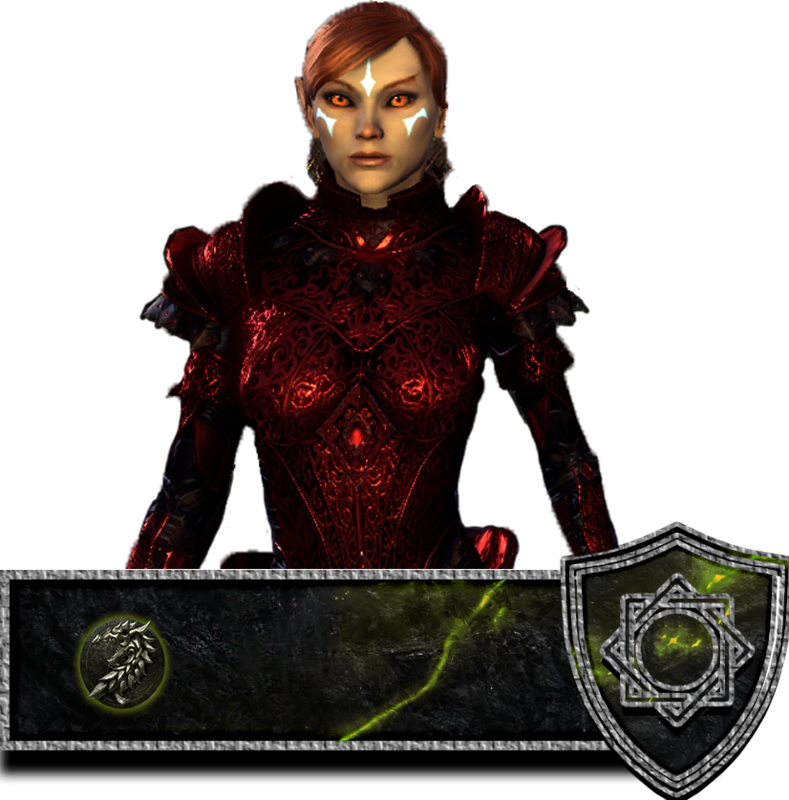 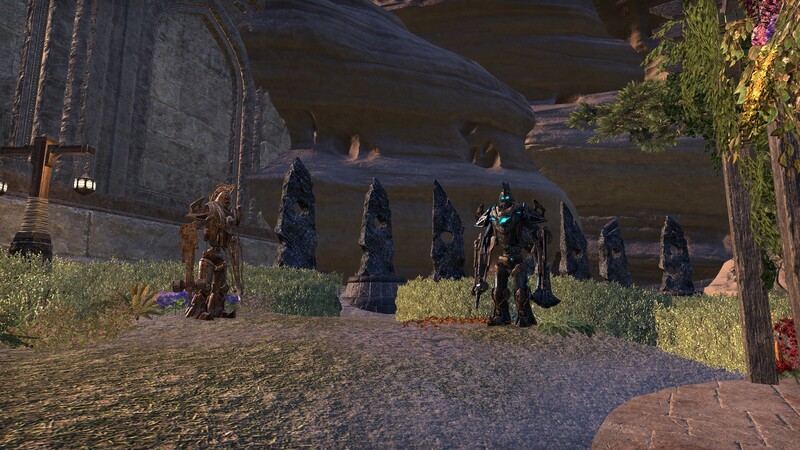 All Alith Legion Members can access our unofficial guildhall, you simplying right clicking on my ESO ID @garethsarge in the guild roster then click "visit primary residence". 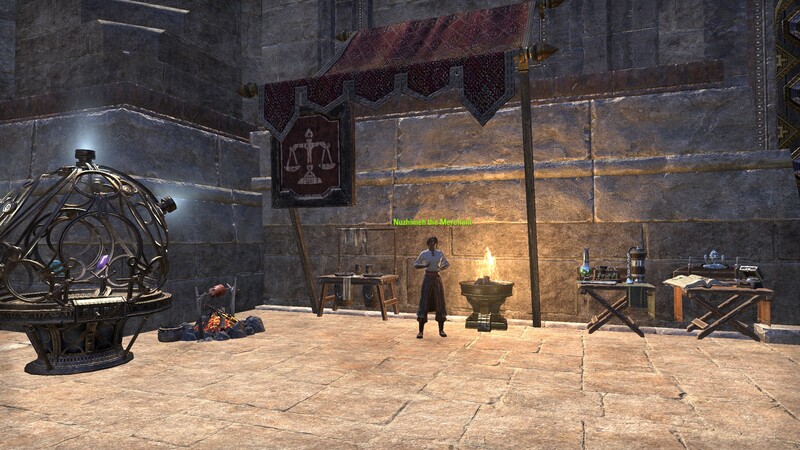 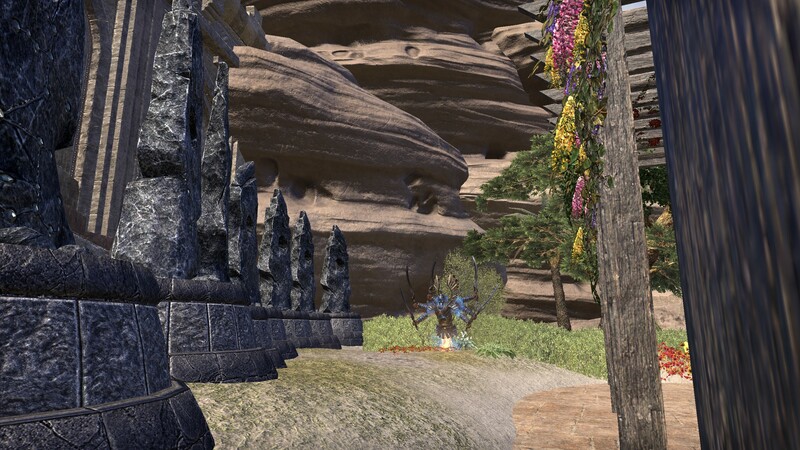 If you would like to help contribute to the project, any donations of furniture or gold passed to the guild officers will help as well as master writs so we can convert them to writ vouchers to help purchase more of the crafting stations, mundus stones, etc. 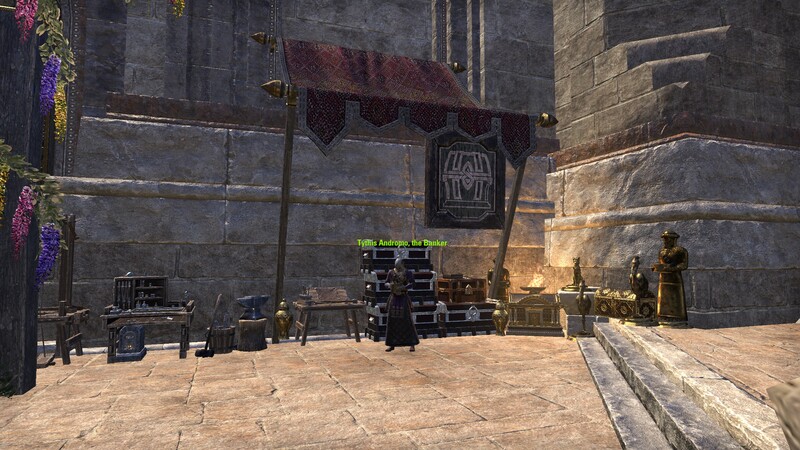 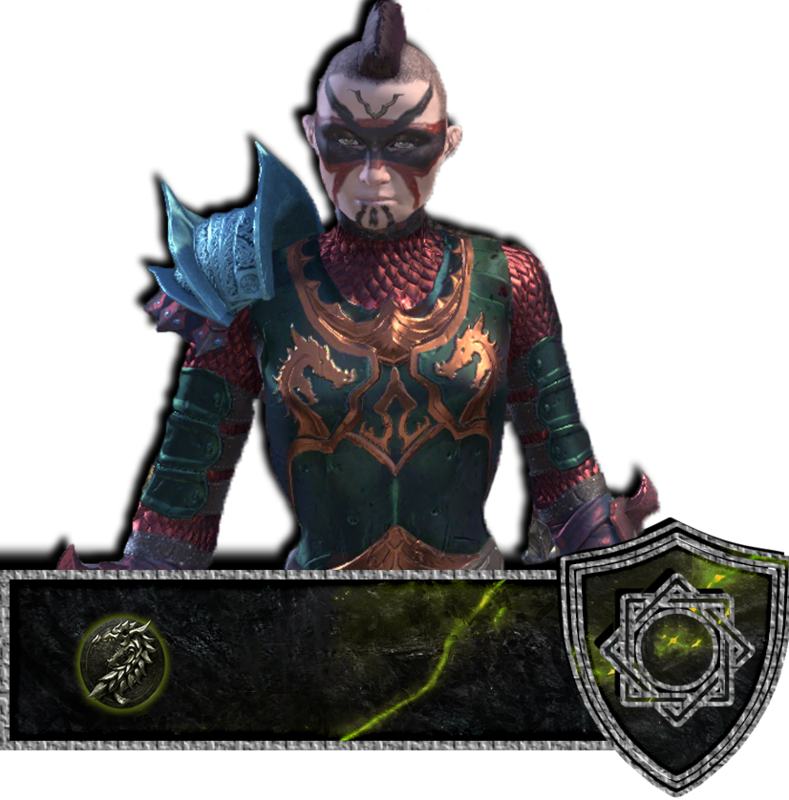 Lets hope in the not too distant future Zos will give us our dream of a proper guildhall and I will ensure every piece of donated and purchased equipment is transferred to our official guildhall. 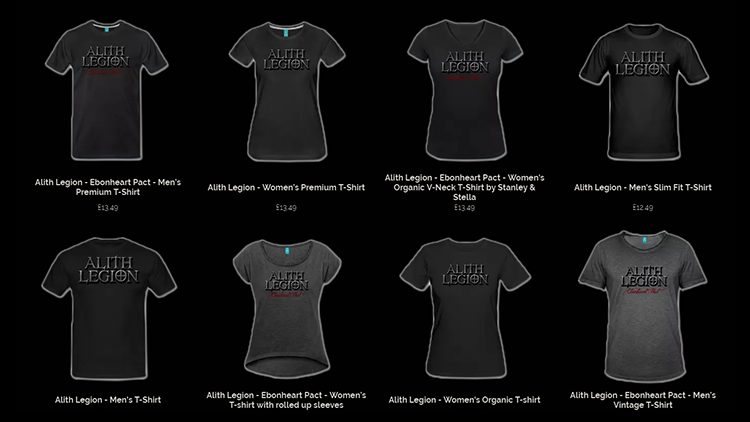 Alith Legion are recruiting new members. 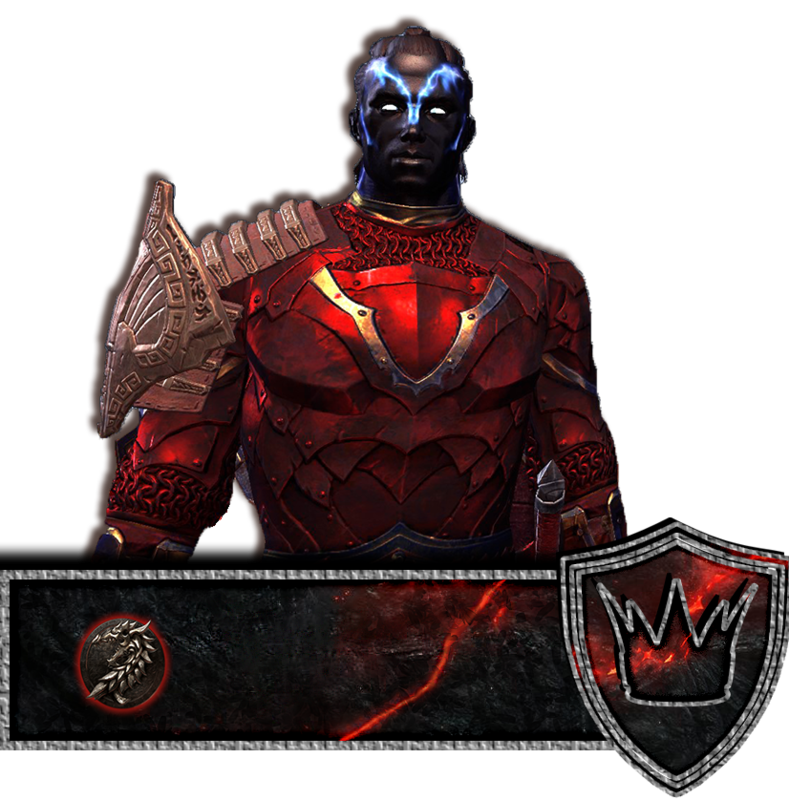 The night Alith Legion ruled the world(bosses)! 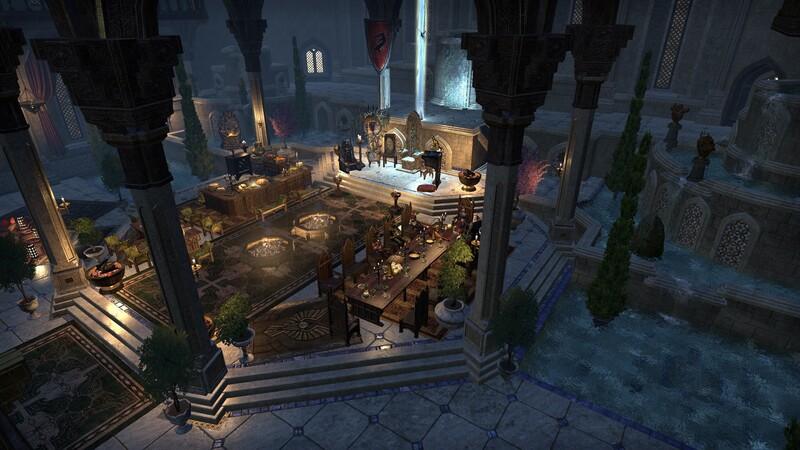 The Midyear Mayhem Pvp Event is Back!